When you think of grooming a Yorkshire terrier, you probably think about combing her long, flowing hair, trimming her ears and giving her a cute little bow for the ponytail or topknot. However, part of grooming your Yorkie is trimming her foot pads and toenails. While this part is significantly less glamorous, it will keep your dog prancing along in style. Trim the nails at each bath. Yorkies need to be bathed at least once a week. If you trim the nails with each bath, then you will likely need to take off very little at any given time. Hold the paw gently and clip off the very end of the nail with the nail clippers. You may need help as most dogs hate this. Yorkies have black toenails, so only clip the very ends since you will not be able to tell where exactly the blood stops flowing into the nail. If you cut too far back the nail will bleed and you will need to apply "quick stop" to help it clot immediately. File off the end of the nail. This gives the foot a more finished look. However, many people prefer to skip this step because most Yorkie's nails are hidden by hair anyway. Use the scissors to trim the hair around the edge of the foot. You should follow the shape of the foot. the hair should not quite touch the ground. if it does, then your Yorkie will have difficulty walking. You can do this before the bath, but it will probably need to be touched up afterward. Trim hair between the foot pads. Yorkies' hair actually grows between their foot pads as well as around the edges of their paws. This hair must be trimmed to avoid tangles and infection. The hair should be at least level with the pads of the feet if not slightly shorter. Many people prefer a professional groomer to handle the care of their Yorkie's feet because of the large amount of clipping that is necessary. 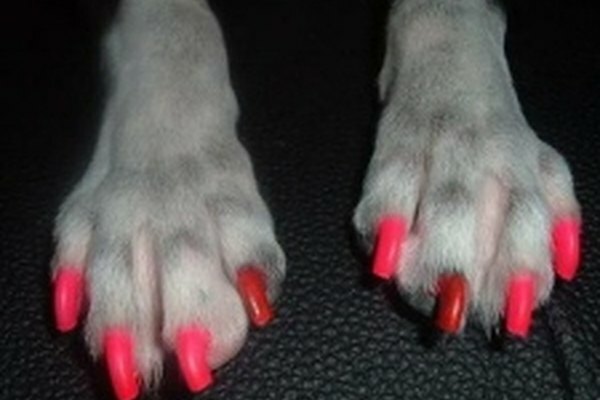 You can do routine maintenance on the nails and have a groomer handle the rest every other week if you wish. Touch up after the bath. When the dog is wet it can be easier to spot hair that is too long and trim it without worrying about cutting a paw. Once you are done, then you can move on to the fun and glamorous part of grooming--making your doggie look her very best. 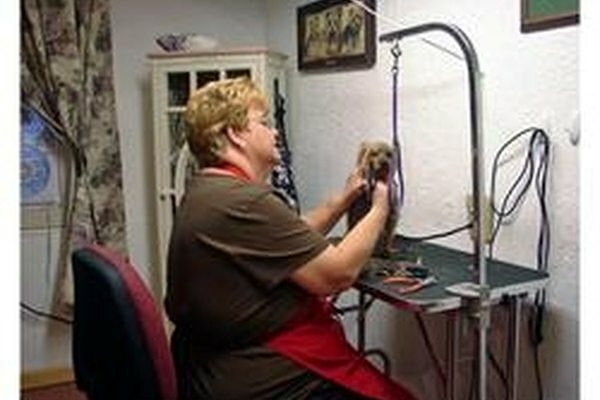 You can take grooming classes to learn how to groom Yorkies properly. This can be a good way to learn in a controlled setting how best to care for your dog.